Cleaning Products | Repair Management Nederland B.V.
For Laundry soap and detergent, floor maintenance, dish washing, sanitary cleaners etc. we can offer you a wide range of products. 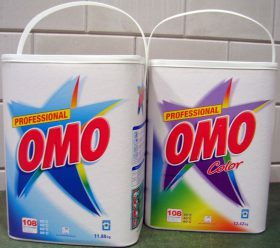 Brands such as OMO Proffessional,Clax Vivet, Dubro, Johnson, Piek, Ambi Pur, Dreumex, Unicura, Cleantex, Splendor, Tork, Euro Products, Sun are direct from stock available or can be supplied with a short lead time. 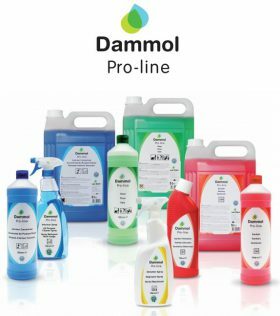 A compact professional range of high concetrated and ready for use cleaning products. Especially developed for the profesional user. A range with very attractive value for money products. For more than 80 years a first class manufacturer of cleaning products. 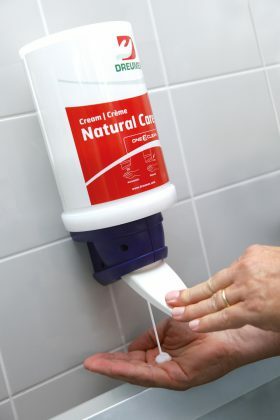 Dreumex has been active as a manufacturer of heavy-duty hand cleansing and hand care products for more than 50 years. Over the years, the company has grown to be one of the leading suppliers of these products in Europe. Thanks to a combination of expertise and experience, Dreumex has developed a total package of cutting-edge, high-quality products that protect, clean and care for hands. The extensive range of products provides a solution for every work situation, so that your hands are also clean and healthy after work. Dreumex is mostly known for its high-quality hand cleansing and hand care products, but did you know that Dreumex also produces industrial cleaners (the so-called ‘power cleaners’) and air fresheners? Not so strange, given that these products meet the existing needs of our clients. This allows them to order products from a single supplier with the quality they have come to rely on from Dreumex. In addition, Dreumex produces a large number of chemical products and liquids. From product development to production, bottling to packaging, all processes take place under the direct management of Dreumex. Dreumex also produces custom formulations and products. 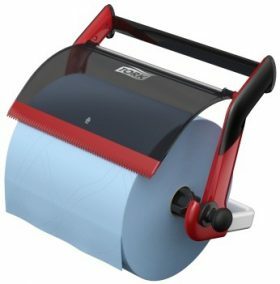 Wherever there is a need for wiping, drying, cleaning or polishing, there is a solution branded Tork. A solution that improves hygiene and makes cleaning more efficient. That saves time, money and trouble for customers. And that adds to users’ well-being, comfort and peace-of-mind. Manufacturing gearboxes, assembling electronics, polishing lenses, painting cars and printing brochures all require high-quality wipers and cloths that help increase productivity. 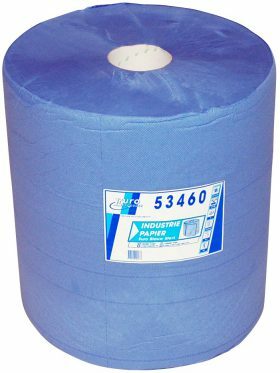 High-performance wipes are vital in most industrial workplaces, both for hygiene and productivity. Whatever your line of business or type of industry, Tork has the ideal solution for your cleaning, wiping and polishing needs. Euro Products is fully capable not only of meeting the large demand for professional cleaning products but also of providing the necessary flexibility and service. Euro Products is the agent for a number of high-grade paper and non-woven producers. The production of traditional polishing cloths from recycled materials – in more than 40 various grades – is an Euro Products speciality.